After receiving a call from the community, Detroit police made a massive cannabis bust. 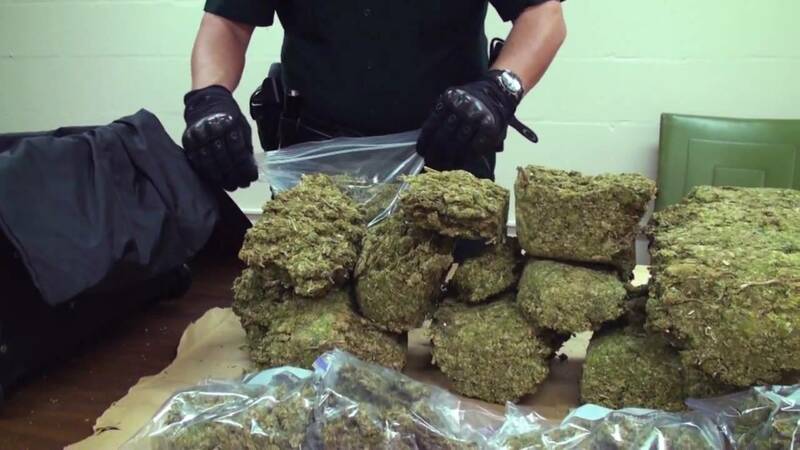 Watch the video to see yet another disappointing weed bust made. After receiving a tip from the community, Detroit police made a massive cannabis bust. In fact, they seized up to a million dollars worth of weed from a warehouse. Not to mention, each plant stood roughly eight feet tall, which is just as large as Christmas tree. Be sure to check out the video below to see just how much weed is now going to waste. On Wednesday, Detroit police made a massive cannabis bust during a raid. They didn’t find just a couple of plants either. In fact, they seized a street value of $1 million in weed. The raid, in particular, occurred around 4 p.m. at a warehouse on Gratiot and Mohican on Detroit’s east side, thanks to a tip made by a resident. After arriving, police found four large rooms containing plants in the facility, which estimate to be roughly 1,000 square feet per room. In other words, that’s one massive operation. According to police, they also found a gun along with some ammunition. Although only one arrest has been made so far, officers say there may be more people involved. The plants stood about 8 feet tall, which is just as high as your typical Christmas tree. According to Lt. Jonathan Powell, the tip came from the community, who reported smelling what they suspected to be cannabis coming from the facility. Although the plants were full and ready to go, Detroit police managed to recover the plants before they made it out the door.